Personalised and private experience. Discover how the locals like to party as the city comes alive at night and you enjoy tapas with your thoughtfully matched Host. Explore a vibrant neighbourhood and bar hop around some of the coolest bars in the city. Spend an evening like a real Madrid local and explore trendy Malasaña, a spirited neighbourhood known for its tapas, cañas, vibrant nightlife, traditional taverns and hipster cocktail bars. 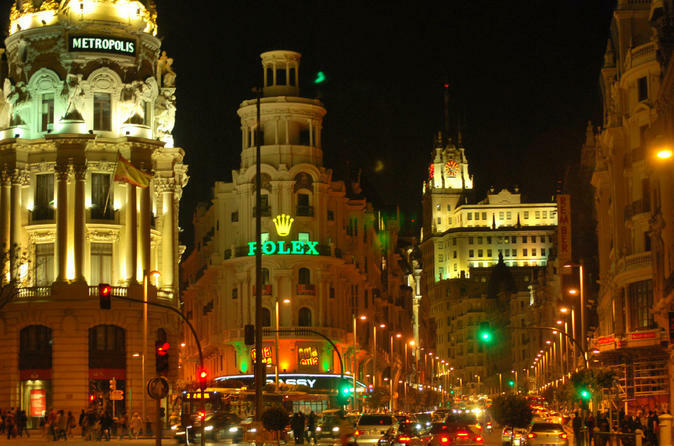 Whether you want to relax and sip vermouth as you nibble delicious plates of tapas or party until the sun comes up, your Host will help you discover a side of Madrid’s nightlife that you’ll love! Join your thoughtfully matched Host and enjoy a taste of the real nightlife in Madrid as you discover how Madrileños really go out after dark to enjoy tapas and party with friends! With so many incredible bars to choose from and a nocturnal spirit, night here start late and finish early, and you’ll soon see that most locals’ plan is no plan - just go with wherever the night takes you! Get recommendations from your Host for the best clubs or music venues to go to next so you can dance the night away until you watch the sun come up, or find out where to head to listen to some live music.